Check out repealhydeartproject.org for more information the Hyde Amendment. I can’t not at least refer to the events of this past weekend here in the US, but I want to say more than just that I denounce the actions and opinions of the AltRight, of these American Nazi Terrorists. This image gave me the words I need to say. SOAM is, as a feminist website, as an organization for women, a direct supporter of the Black Lives Matter movement. SOAM directly supports the Jewish population of the US. SOAM directly supports the LGBTQ community. Within this umbrella of intersectionality, of reproductive justice, SOAM is directly tied to all these groups. Reproductive justice is not merely reproductive rights; it is a far more vast concept. Reproductive rights include the right to a safe abortion, the right to birth control, and the right to preventative healthcare for women’s bodies, but reproductive rights end there. 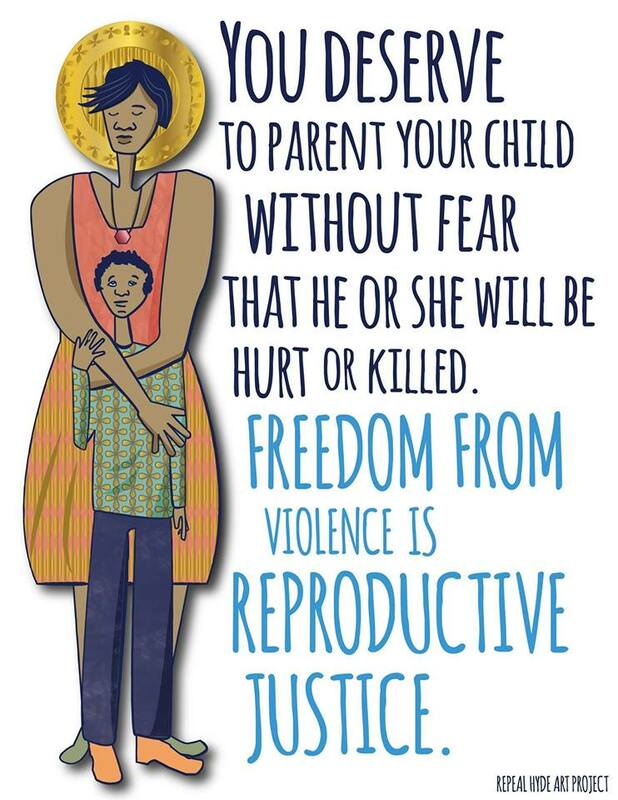 Reproductive justice encompasses all that and so, so much more. 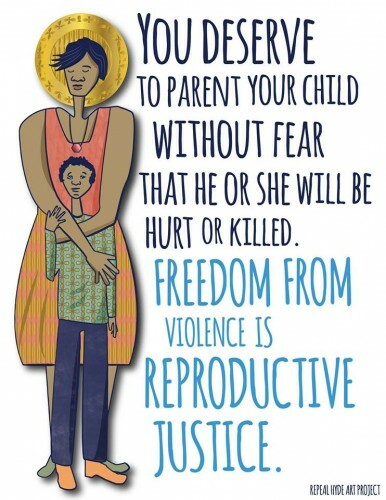 Reproductive justice includes welfare and healthcare for children born too poor mothers. It includes justice for children born to mothers or fathers in prisons, and it includes the rights of those mothers to give birth in a safe and sane environment. It includes environmental justice because children have the right to grow up in a place with access to clean water (looking at you, Flint, MI) or a nontoxic environment. It includes BLM and other movements to protect minorities because a child should have a right to grow up. Period. SOAM is inherently a feminist website and therefore the events of this past weekend are directly related to SOAM. Our focus is and always will be on the postpartum body, but after a tragic event like this I am here to tell the world that we love you and we support you and we stand with you. I went out Sunday night to my local vigil held for Heather Heyer, Lieutenant H. Jay Cullen, and Trooper Berke M.M. Bates and the most powerful message I took away was that there are far more of us (workers for equality and love) than there are of them (Nazis). We will win. Mamas and papas, love your communities. I stand with you in love. Next post: A brief update and something EXCITING!